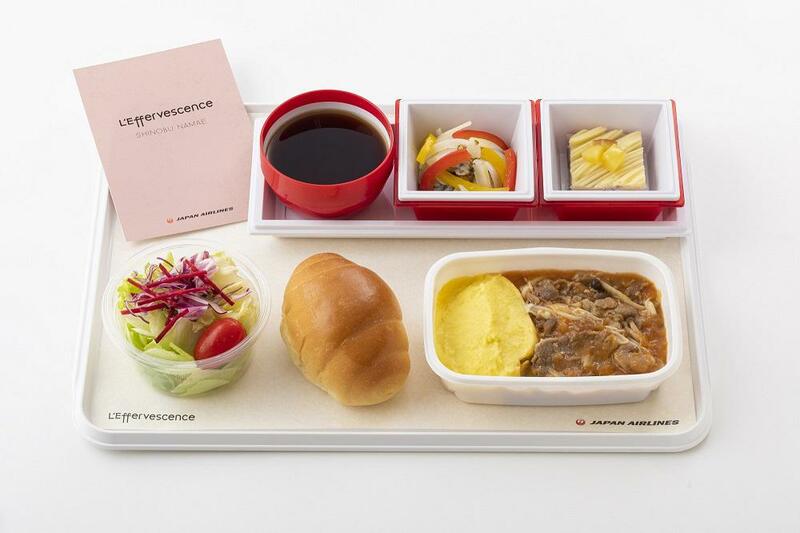 Tokyo, Japan, 2018-Aug-22 — /Travel PR News/ — Japan Airlines (JAL) today (August 21, 2018) announced a new autumn menu on the carrier`s international flights from September 1, 2018. Highlights include new Premium Economy and Economy Class meals on flights to Hawaii created by a Michelin 2-star chef, the return of Air Yoshinoya on long-haul international routes, as well as the introduction of JAL`s Original Chicken Curry for First and Business Class customers. JAL will continue to deliver a delectable and unforgettable dining experience to passengers in a comfortable atmosphere on the carrier`s exclusive restaurant in the sky. From September 1, Shinobu Namae, chef-owner of L’Effervescence will supervise Premium Economy and Economy Class meals for flights from Narita to Honolulu and Kona. Customers can look forward to a healthy meal prepared with seasonal ingredients of the highest quality. Four new chefs from RED U-35 will be introduced to create JAL`s international inflight meals. RED U-35 is the largest culinary competition in Japan to discover new talented chefs. This popular meal will return on JAL`s long-haul international flights featuring carefully selected ingredients to produce a tasty Yoshinoya beef bowl. JAL will be serving an original chicken curry created by Hashimoto Restaurant, rated a one-star restaurant in the 2018 Special Edition Michelin Guide for Kumamoto/Oita prefecture. JAL will proudly introduce ‘PRESS BUTTER SAND’ as a snack at the self-service corner. The scrumptious cookie is filled with cream/caramel and is perfect for a mid-flight snack. This entry was posted in Airlines, Flights, Food & Drinks, Travel, Travel Services, Travelers and tagged autumn menu, international flights, Japan Airlines. Bookmark the permalink.